As the election campaign heats up, so has the war of words between cousins Priyanka and Varun Gandhi. 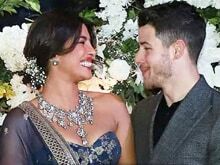 In a strong attack on Varun on Tuesday, Priyanka not only stood by her comments that he had gone astray, but also said this wasn't a family tea-party but an ideological war in which Varun had betrayed the family. Varun Gandhi later retorted that he had never crossed the line of decency.